Fierce, strong, and brave are just a few words to describe DC’s superheroine Wonder Woman. You too can be these things, while being warm and comfy, in this Wonder Woman Movie Adult Womens Onesie. 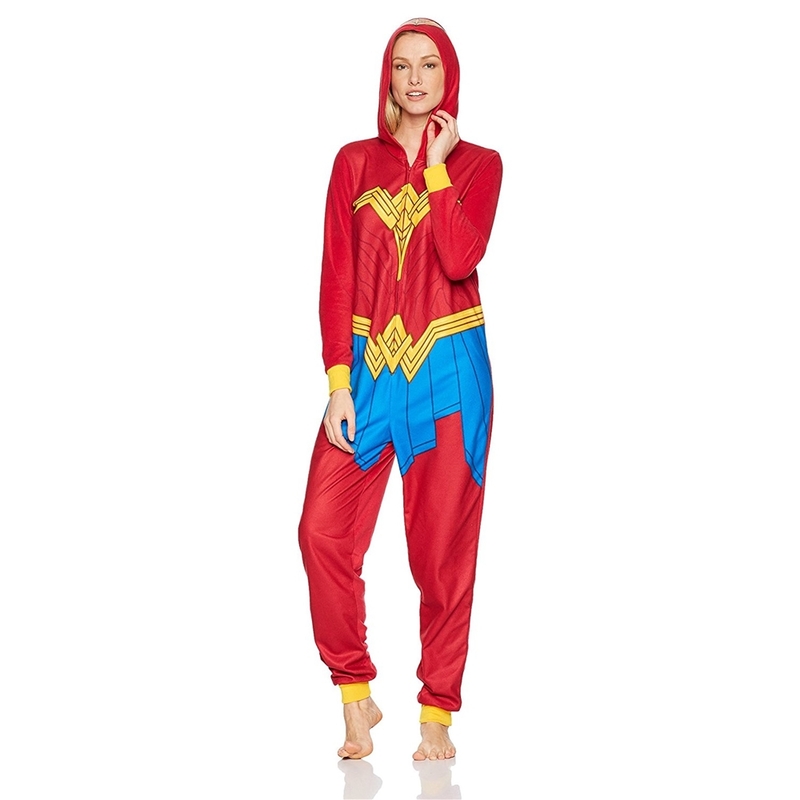 Made of 100% polyester, the adult women’s onesie is inspired by Wonder Woman’s costume worn in DC’s film Wonder Woman. 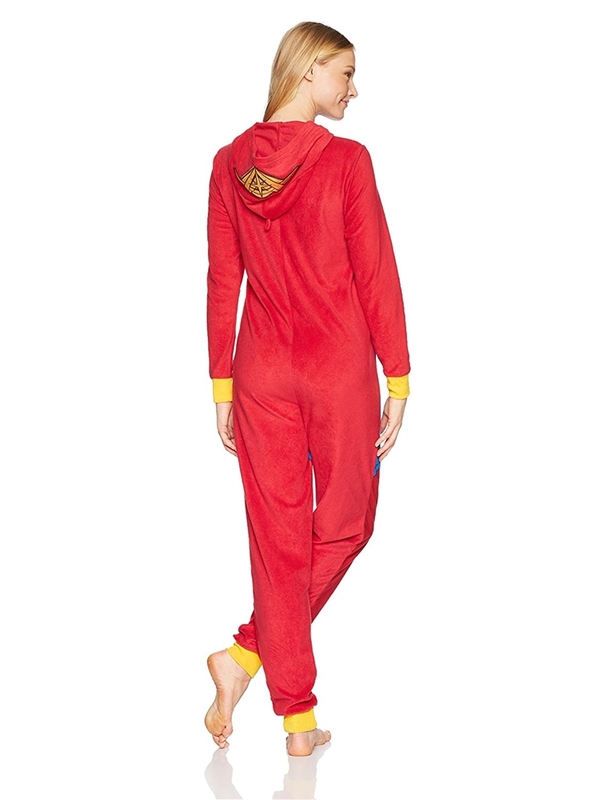 The red onesie features an attached hood, long sleeves, yellow rib-knit cuffs, and a front zipper closure. The onesie is printed with a yellow Wonder Woman logo on the chest, a yellow belt, blue skirt, and a yellow tiara on the front hood. This Wonder Woman onesie is terrific for Halloween or everyday wear.